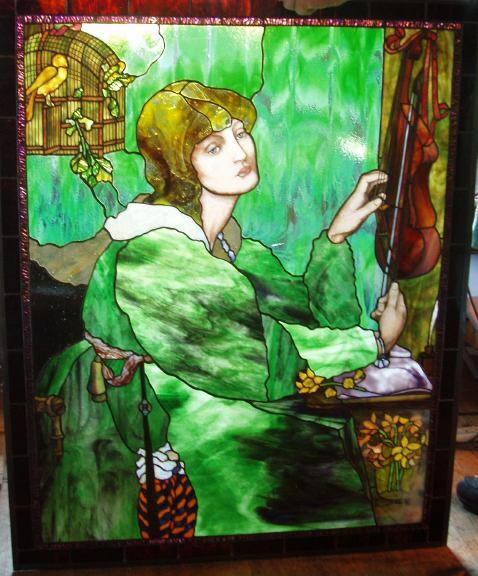 Completed in June 2008 for a New York client, this “Portrait Window” is based on the painting “Veronica Veronese” by Pre- Raphaelite painter Dante Gabriel Rossetti. 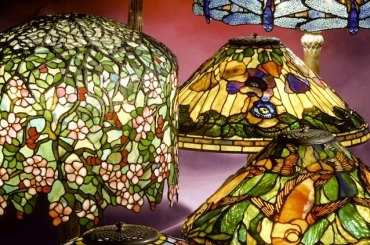 We find that due to the subjects, compositions and details, paintings from this era translate nicely into stained glass windows. At the right, you see the completed window. 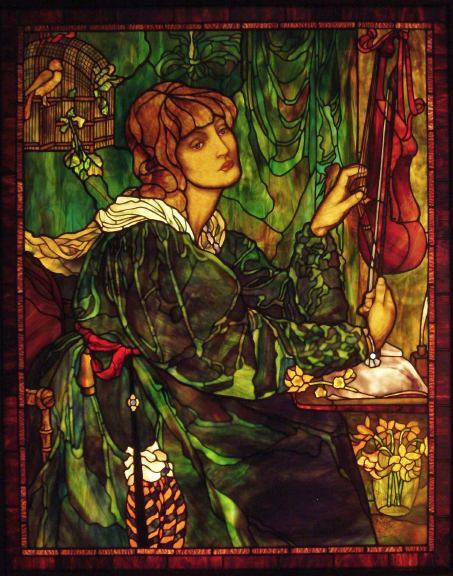 This style of window uses a technique called “plating” where more than one layer of glass is plated on the front or back surface of the window to create effects and colors that do not exist in a single layer of glass. On the left you see the window before the second layer of glass has been applied to the back side of the window. 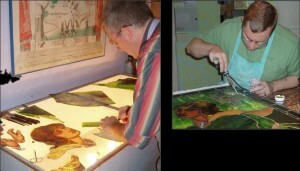 Below are several photos of Bill and Irwin working on the window. Bill is laying out part of the dress, next to the face and hands he painted earlier. For painting of this sort, individual layers of pigment are brushed on the glass and fired in a kiln. Multiple layers of paint are used to build depth and detail. Irwin is soldering a portion of the plated second layer to the back side of the window.